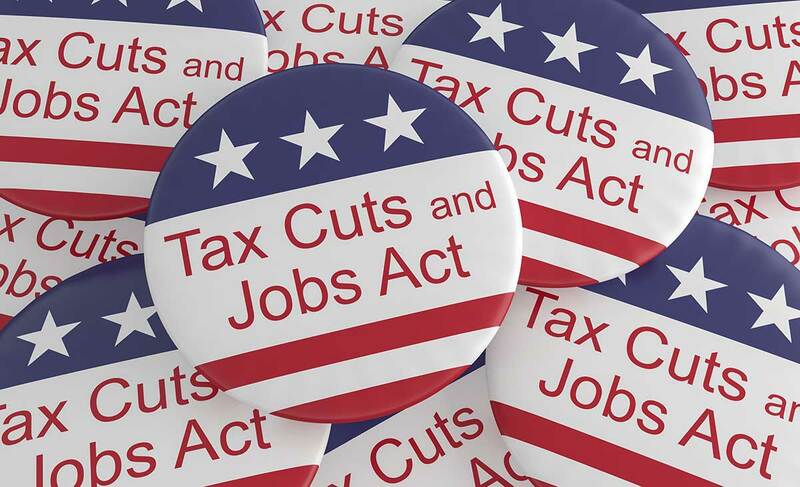 Almost a year ago, in December 2017, the Tax Cuts and Jobs Act (TCJA) was signed into law, introducing the most significant tax changes in 30 years. As 2018 draws to a close, now is a good time to plan and implement strategies that can boost your bottom line, improve the financial success of your veterinary practice and put your business in the most favorable tax position. Here is an overview of some of the major changes affecting veterinary practices and their owners. S corporations (S-corps) and LLCs (limited liability companies) are considered pass-through entities because they do not pay tax directly. The income passes through to the individual owners, and the tax calculated on that income is included on individual income tax returns. TCJA introduced the qualified business income deduction, allowing business owners of S-corps, partnerships or sole proprietors to exclude 20 percent of their qualified business income from income tax. Qualified income would include only the business operating income and would not include guaranteed payments made to the owner or investment income generated by the business and allocated to the owner. The exclusion amount is limited to the greater of 50 percent of the W-2 wages paid to all employees or 25 percent of the wages paid to employees plus 2.5 percent of the basis of all qualified property for most taxpayers. Further restrictions apply to income generated by a specified service trade or business, which includes many medical and professional services as well as other businesses where the skill set of the individual, and not the sale of a tangible object, is the income-generating force. The Internal Revenue Service has determined that veterinary practices fall under their definition of a specified service trade or business, along with accounting professionals. (We feel your pain.) As a result, each owner might be able to take the exclusion on their individual income tax return if their taxable income is below $315,000 for a married couple filing a joint return or $157,500 for someone filing a single return. If income exceeds these limits, the qualified business income deduction is lost. TCJA set the tax rate for C-corps at 21 percent for all income levels. This is a stark change from the previously tiered tax rates maxing out at 39 percent. However, as the owner of a C-corp you are still subject to double taxation if you withdraw any money out of your practice. The annual net income is taxed at the new 21 percent corporate tax rate, and tax is paid by the corporation. If available cash can be distributed to shareholders, it would be done in the form of payroll, where you would avoid double taxation but pay Social Security and Medicare taxes, or as a dividend distribution, making it subject to tax again as part of your individual tax return at a rate of 15 to 20 percent. This still could be the right structure for you as every situation is different. Now is a great time to review your entity structure with your tax adviser to ensure you are taking full advantage of available tax savings. Changes to the bonus depreciation and Section 179 rules could help reduce the tax liability of veterinary practices. Under the new bonus depreciation rules, practices will be able to write off 100 percent of their capitalized assets placed in service between Sept. 27, 2017, and Jan. 1, 2023. The amount allowed to be expensed is reduced by 20 percent annually during that period. One of the biggest changes in this area includes the expansion of the qualified property rules to include not only new property, as in the past, but used property as well. Section 179 depreciation limits have increased from $500,000 a year under the old tax law to $1 million. The scope of qualified property has expanded to now include qualified improvements to real property, which previously had to be depreciated over 15 or more years. Under the old tax law, we were able to take a 50 percent deduction for business-related meals and entertainment. Under TCJA, the 50 percent meal deduction is preserved, but entertainment expenses must fall into specific categories to qualify for a deduction. Most of these categories relate to employee entertainment and not client entertainment. Be sure the expenses are broken out separately in your accounting system. In the past, Section 1031 like-kind exchange rules could apply to many different types of property, including automobiles and medical equipment, and would be used to defer the taxable gain of the appreciated property. These rules now apply only to real estate transactions. Any other property generating a gain must be recognized at the time of the transaction. Practices with less than $25 million in annual gross receipts can file tax returns on the cash basis of accounting rather than the accrual basis. This is up from $5 million under the old tax law. A return prepared on the cash basis is favorable because it allows the practice to defer recognizing income until payment is received. On the accrual basis, income must be recognized when billed. This would accelerate the tax on the income and you could end up having to pay tax on income you won’t collect immediately. TCJA made major changes to the code’s individual income tax section. Many of the changes are set to expire in 2025 unless extended by Congress. The biggest difference you will notice on your 2018 tax return is the elimination of the personal exemption for you and your dependents. This change is coupled with higher standard deductions: $12,000 for a single filer and $24,000 for a married couple filing a joint return. The child tax credit is enhanced as well. For anyone not taking the larger standard deduction and still itemizing, deductions for state and local income taxes and real estate taxes are limited to a combined $10,000. This has prompted many states with higher tax rates to explore alternatives to the way their residents pay income and real estate taxes so that they can still receive a federal tax benefit. Some states have sued the IRS, claiming the limit creates an unfair tax burden for their residents. Other changes to itemized deductions include mortgage interest on new debt. Mortgage interest was previously deductible on the first $1 million of the principle and up to $100,000 of additional qualified debt, such as a line of credit or a home equity loan. The upper limit has been reduced from $1 million to $750,000 of mortgage principle on debt acquired after Jan. 1, 2018. Interest paid on home equity lines is no longer deductible regardless of when it was established. Exceptions might apply if the funds are used for business or home improvement or as acquisition debt. Another noteworthy change involves alimony in divorces finalized after Dec. 31, 2018. Alimony will not be a deduction for the payer and will not have to be recognized as income by the recipient. Also note that the alternative minimum tax has been altered and improved. TCJA increased the estate tax exemption from $5.6 million to $11.2 million for five years. If not made permanent by Congress, the exemption will revert to $5 million and an inflation adjustment. Some states agreed to match the federal deduction, while others have their own exemption amount or timeline. Be sure to check local laws. Every tax situation is unique. Making slight changes now could have big impacts on your tax liability immediately and farther down the road. Be sure to consult a tax professional who can provide a full understanding of your tax picture and help put you and your practice in the most advantageous position. Christopher J. Eck is a partner with the Stamford, Connecticut, accounting firm Berkow, Schechter & Co.